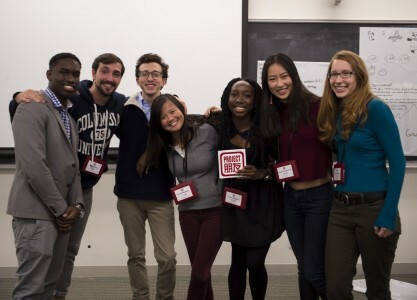 This fall, we went back to Harvard University during Columbus Day Weekend (Oct. 10-13, 2016) to lead our fourth annual Project Pengyou Leadership Training Summit, bringing together 39 bright and passionate young leaders from across the country, all of whom have lived and studied in the US and China. 39 students, 32 schools, 21 states, 7 countries. 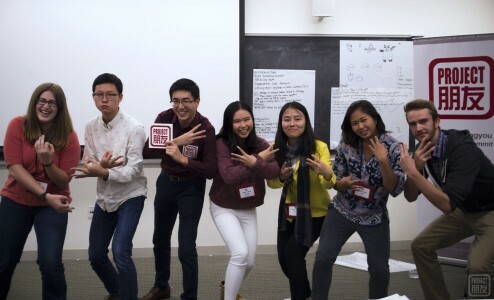 This fall, we went back to Harvard University during Columbus Day Weekend (Oct. 10-13, 2016) to lead our fourth annual Project Pengyou Leadership Training Summit, bringing together 39 bright and passionate young leaders from across the country, all of whom have lived and studied in the US and China. For the first time this year, we were thrilled to have international Leadership Fellows as well. We were excited to also invite back six 2014-2015 Leadership Fellows who served as coaches guiding the new cohort and practicing their own leadership skills. The familiar walk along the Charles. 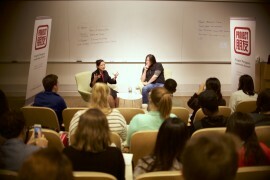 As the Project Pengyou Leadership Network has grown in size, it has also grown in confidence. The hope for a better future between the US and China and the legacy being built by each cohort feels more and more substantial. 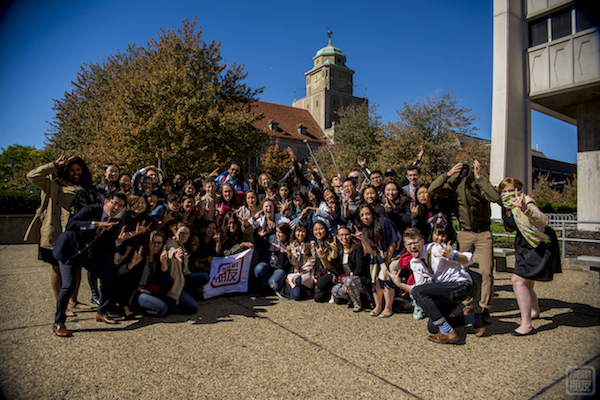 The fact that so many Fellows and Chapter leaders have stayed connected, gone back to China, and engaged with the mission years after the summit is showing us just how powerful we can become together. There were multiple Fellows who were leadership team members from established chapters, already in existence for two years! 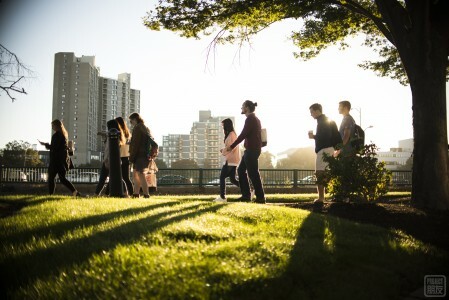 As we were welcomed by familiar faces (and cookies) at the Doubletree Hotel in Cambridge, we couldn’t wait to see what surprises this cohort would bring. Fellows Madeline Stockton and Gabriela Corredor walking to campus. As we had seen from past summits and hoped for during this one, Leadership Fellows are quick to make new friends. This was one of the most diverse groups of Fellows we have had, but it didn’t seem to matter how different everyone seemed; the friendships were fast and genuine. After sharing so much together, four days can feel like a lifetime of friendship. There were many vibrant discussions and ideas buzzing around around the classroom during the day. In the evenings, there were also quieter (or rowdier, depending on the room,) moments at night which everyone was able to share. Our training is based on renowned Harvard professor Marshall Ganz’s Leading Change course. 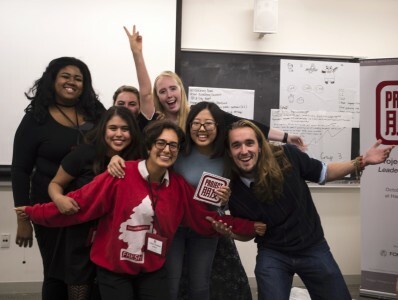 The curriculum teaches core community organizing practices including the effective use of narrative and stories to build meaningful relationships and galvanize people into collective action for a shared purpose. Teaching a full semester’s worth of material in four days is no small feat. 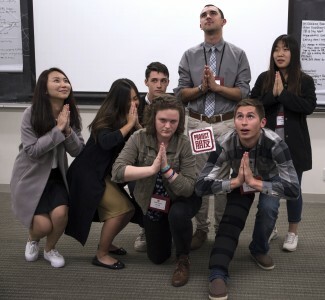 But with incredible focus, the Fellows dug deep, developed strategies to build strong Project Pengyou Chapters at their schools and shared deeply personal stories about why they are called to US-China leadership. 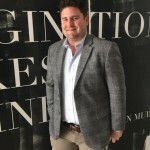 Daniel Keesey – American University, Washington D.C.
Pengyous, that’s because of you! Here are some of our other favorite group shots from the Summit. For more photos, check out our album. We would like to thank each and every Fellow who dedicated four action-packed days out of their busy student lives and brought their full energy and presence to the Leadership Training Summit. You inspire us so much and we hope you feel inspired by each other as well. We would also like to extend a BIG THANK YOU to all of the coaches, summit trainers and our summit media producer, Francis, who poured their hearts and souls into this summit, sacrificing sleep and downtime to make this really special. 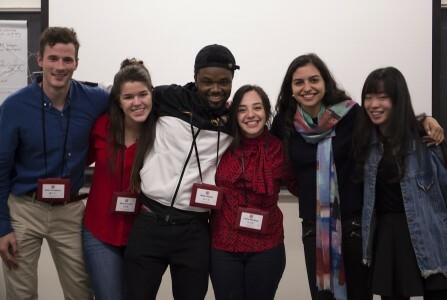 Although the summit has concluded, this journey has just begun for all of Leadership Fellows as they go back to their campuses to organize their Project Pengyou Chapters. We’re excited for the year ahead! 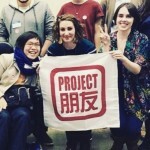 Want to become a Leadership Fellow and start a Project Pengyou Chapter? Read more here and keep up to date on our next Leadership Training Summit next fall. 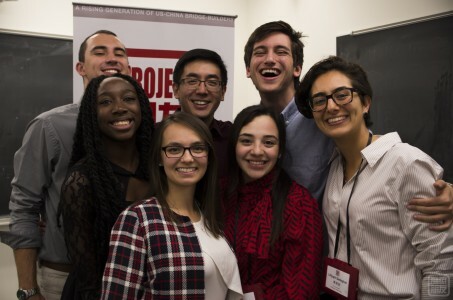 You can also learn more about the Project Pengyou Leadership Network by reading about the Spring 2014, Fall 2014, and Fall 2015 summits here. 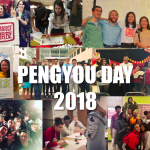 Project Pengyou Chapters are student organizations at US high schools, colleges and universities built by Americans and international students who have lived and/or studied in both the U.S. and China. They serve as advocates to fight xenophobia and promote inclusion, collaboration and mutual understanding between Americans and Chinese in their communities. 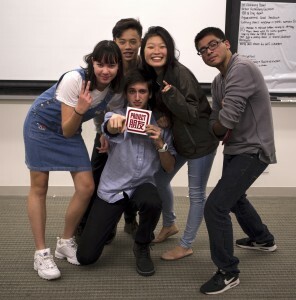 Led by trained Project Pengyou Leadership Fellows, these hubs of constructive and empathetic US-China exchange hold discussions, activities, and campaigns that develop cross-cultural competence, leadership and friendship.